• Tested to 3 times the rated lifting capacity. • State of art design. • Smaller and lighter than ever. • Made with high energy rare earth NdFeB magnets. • All Steel body and thus very stable. • Actuating lever with positive spring lock. 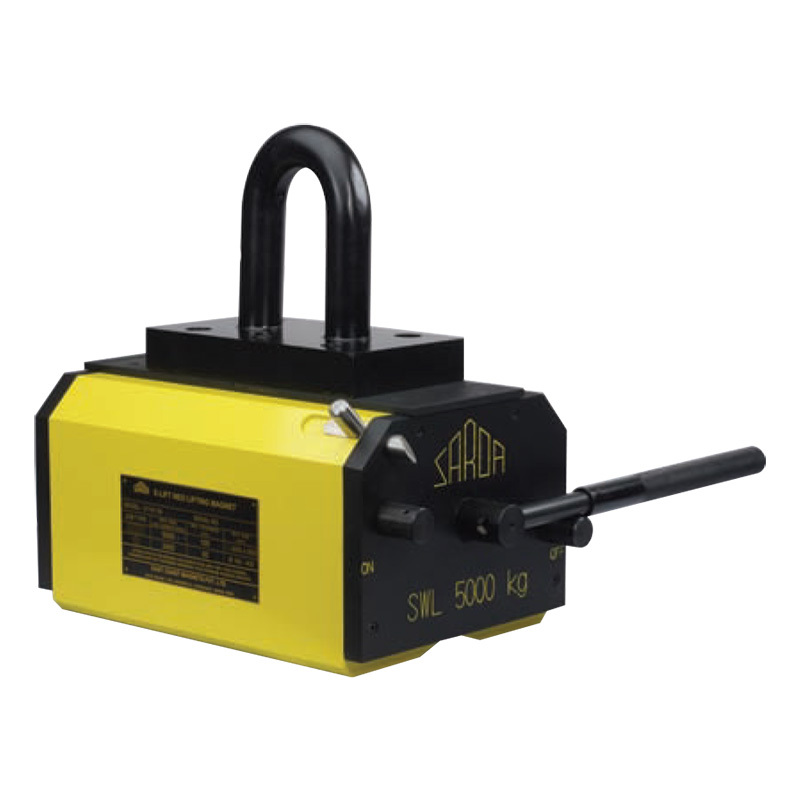 • For handling of steel plates, blocks, rounds, press moulds and loading/unloading on machines. • Commonly used near flame cutting. • Very handy during fabrication. • Can handle finished components without leaving behind any scratch marks, unlike binding and slinging. • Can be used with spreader beam hanging multiple magnets for long plates/pipes/bars. • Can be used with mobile cranes. • More effective use of floor space by eliminating dunnage & increasing stacking height. • Large and heavy work piece can be moved safely and easily by a single operator. • Suitable for both flat and round components. • Labour saving, time saving.